A Baltimore police officer was shot in the hand Wednesday around 7:45 p.m., just hours after the funeral of slain Baltimore Detective Sean Suiter. A 35-year-old suspect was in custody, Baltimore police said. Heroin and crack cocaine were found on him, reports WBFF. The suspect was Tasered and taken to Johns Hopkins Bayview Hospital for his injuries, said Baltimore police spokesperson T.J. Smith. The injured officer was taken to Shock Trauma. 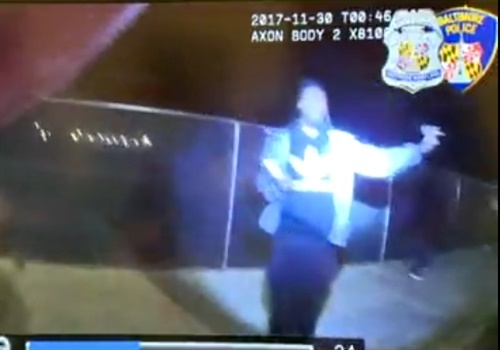 The suspect, Allen Hosea Johnson, Jr., 35, faces attempted first and second degree murder charges for the shooting, among others, reports WJZ. The officer, a 30-year-old assigned to the Southern District Action Team, was released from the hospital Thursday, Baltimore PD Commissioner Kevin Davis said.